At last a product that can safely and effectively control peri-domestic, container breeding, mosquitoes. 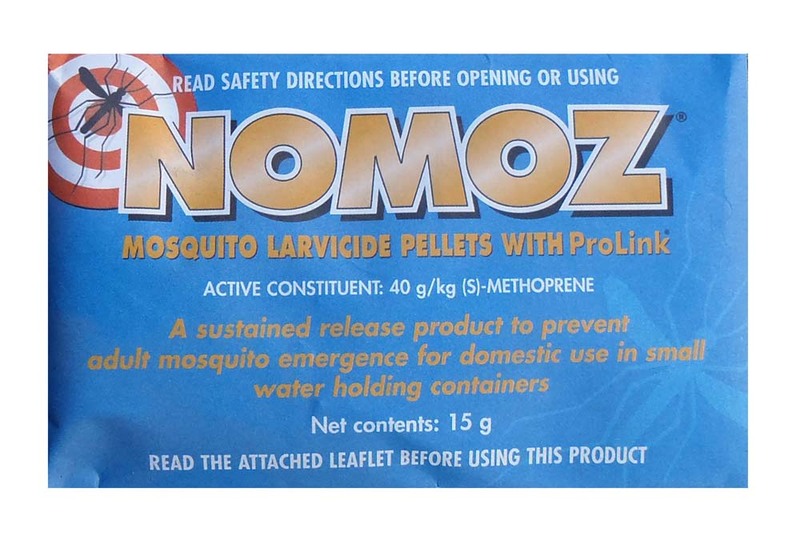 NOMOZ® Mosquito Larvicide Pellets are now available to you, the homeowner. Used as directed NOMOZ® gives between 1 and 6 months control of backyard mosquitoes in breeding sites such as ponds, bird-baths, pot plant bases, water-holding depressions, and in ornamental plants such as Bromeliads. Many peri-domestic breeding mosquitoes are vectors of a number of human viruses and dog heartworm. Controlling these mosquitoes can reduce your families' risk to exposure to the likes of Dengue fever, Ross River Virus, and Barmah Forrest Virus.